All the Cumhuriyet co-accused sentenced to less than five years must serve their prison terms after the appellate court rules the 2017/18 trial lawful. Yaşanılan krizlere çare üretmesi beklenen iktidardan açıklama geldi: Karikatüristi tekrar atın içeri! “Yes, I am going back to prison. Look after yourselves…”, he wrote in the Tweet above. 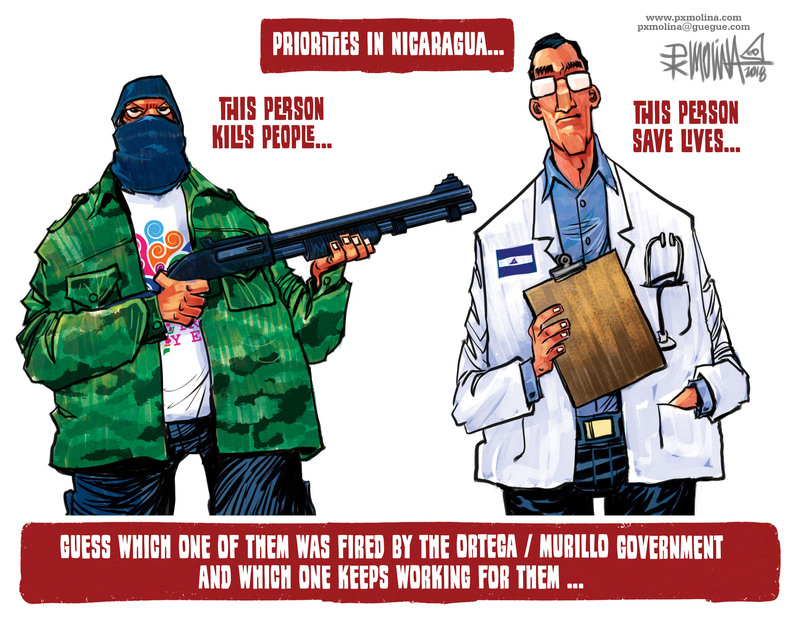 As long-time readers of CRNI’s output will recall, Musa Kart is the 2005 recipient of our annual Courage in Editorial Cartooning Award and the 2018 laureate of The International Press Drawing Prize of the City of Geneva & Cartooning for Peace Foundation. His trial and that of a dozen staff from the Cumhuriyet newspaper came as part of the widespread and much-publicised crackdown on press & media in Turkey in the period after the attempted coup of 2016. 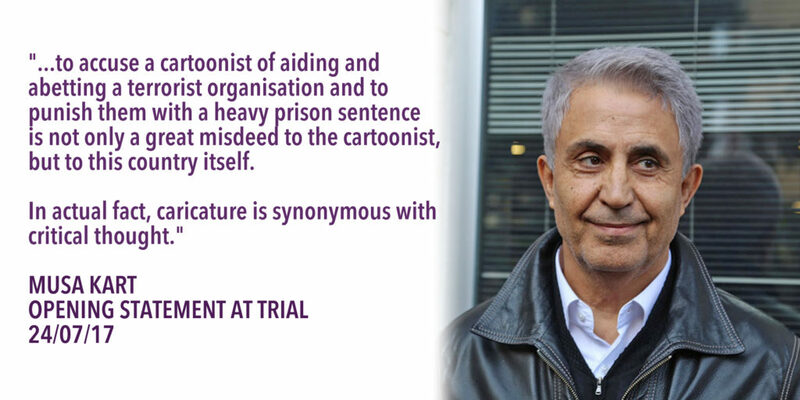 Musa’s opening statement at trial was a blistering and funny critique of Recep Erdoğan’s regime and the absurd notion that opposition politics is tantamount to support of terrorism. His eventual charges were a case of “third time’s the charm” for the thin-skinned president who had already put the cartoonist in the dock over satirical cartoons in 2005 and 2014. CRNI and many other freedom of expression organisations chose to maintain silence as long as Musa’s appeal was in train for fear of outside interventions jeopardising his chances of success. With the termination of hearings and no alternatives left to pursue expect calls for his release and acquittal to be given full voice once again. Assuming his sentence is served in full he will be inside for three years and nine months. It is worth remembering his wholly illegal and unjustified pre-trial detention amounted to nine months from November 2016 through July 2017. UPDATE: we understand the period of incarceration required by the court is one year and sixteen days. The recent global assessment by Freedom House gives Turkey just 31 out of 100 on its scale of assessment and the deterioration there is cited as part of an identifiable and worsening trend of democratic retreat around the world. For a sense of the industrial scale upon which the Turkish authorities continue to persecute and prosecute critical voices within the press, arts and academia one need only glance at Expression Interrupted’s exhaustive calendar of court proceedings. CRNI condemns this ruling in the strongest possible terms and once again calls upon the international community to apply diplomatic pressure on Turkey where and whenever possible and for as long as its grand project of suppression and intimidation continues. 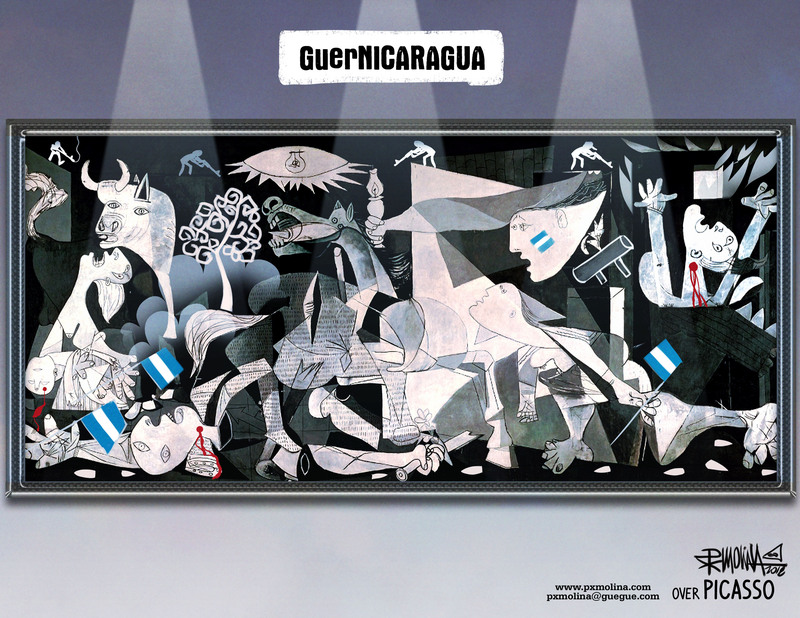 Urgent international action required as human rights defenders and the media are targeted by the Ortega government. UPDATE 12/15/18 – Overnight the Confidencial office has been occupied by police, apparently on a permanent basis, preventing any further work taking place there. El País has the story (in Spanish) as does The Guardian. UPDATE 12/14/18 – As predicted below, Ortega’s enforcers have been swift. 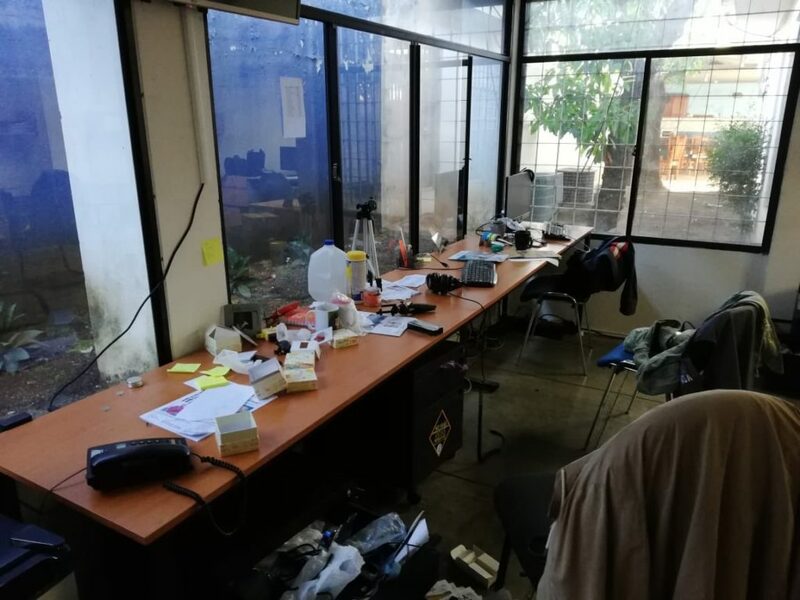 Earlier today the offices of Confidencial were raided by police and computers and other equipment and effects were seized without warning or warrant. This leaves Pedro X. Molina without a publisher and, as the free speech NGOs that would normally defend him and his colleagues have been rendered illegal, with no place to turn for help. Things can only escalate from here. Instead of a new cartoon he’s shared this photo of his desk. 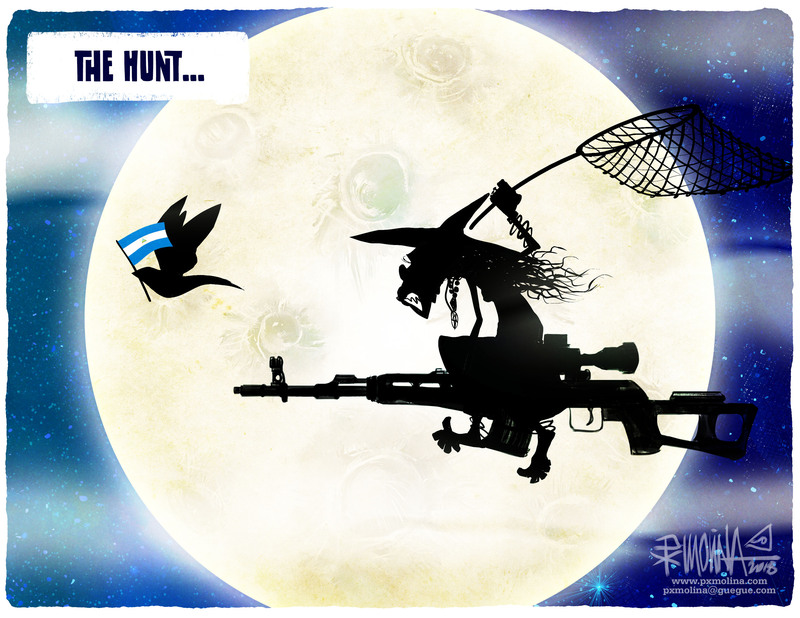 CRNI is alarmed by the most recent reports forthcoming from our current Courage In Editorial Cartooning laureate, Pedro X. Molina of Nicaragua. Conscientious citizens won’t have failed to observe the deteriorating societal conditions under President Daniel Ortega and his wife, Vice President Rosario Murillo. 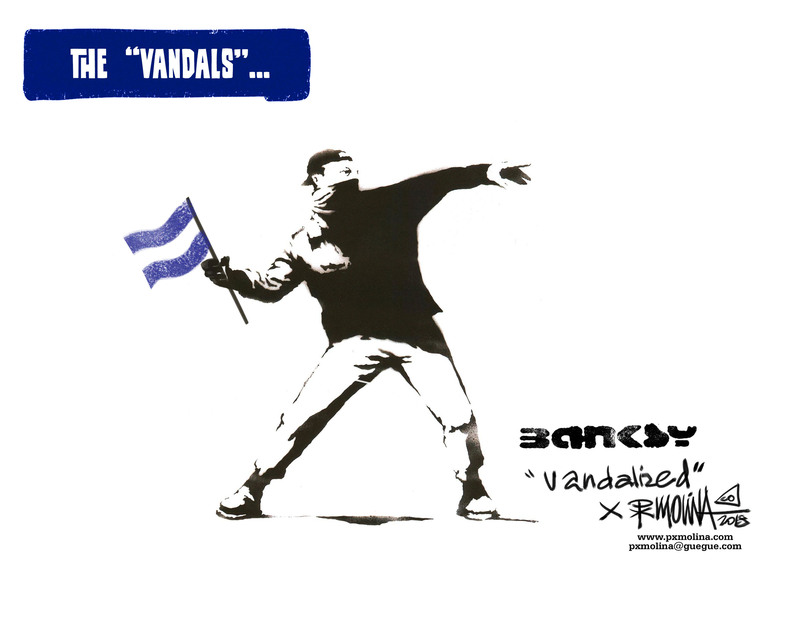 As citizens took to the streets to protest, in Molina’s own words, “several years of electoral frauds, selective repression, attempts to censor the internet, mismanagement of environmental disasters and the enactment of a social security law that curtails the rights of current and future pensioners” the Nicaraguan government embarked upon increasingly severe counter measures. Several hundred have died in the ensuing year of violence. 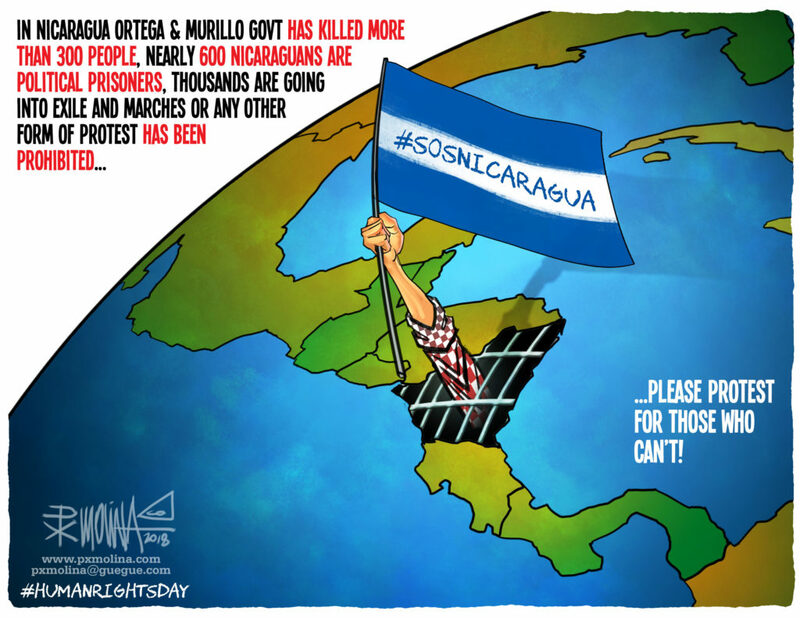 Molina’s beautifully rendered expressions of outrage and scabrous caricatures of Ortega and Murillo have in many ways formed the outward, international face of the #SOSNICARAGUA movement. During the month of October, when illustrators and cartoonists everywhere post daily sketches to social media under the #Inktober hashtag, Pedro was adding tender portraits of men, women and children who have disappeared or perished during the ongoing unrest. From November onward Pedro has been sending us updates on a marked upswing in confiscations of equipment, cyber attacks, unlawful and brutal arrests and serious assaults by paramilitaries aimed at independent journalists, broadcasters and media workers, all reaching a crescendo in the last week or so. At the same time members of the Ortega/Murillo family were fêted at an art event sponsored by UNICEF and PAHO/WHO. The inherent hypocrisy has left a bitter taste in the mouths of those desperate for international condemnation of the regime. Even more worryingly, human rights NGOs seem to have been added to the scope of the crackdown. On December 10th, World Human Rights Day, the CENIDH organisation was denied permission to demonstrate. Shortly thereafter the organisation’s legal status was revoked entirely. Five more NGOs were similarly declared illegal in twenty-four hours including CINCO, founded by the director of the Confidencial news platform that is the regular publisher of Pedro’s work. This would all appear to be a prelude to more concerted action against human rights defenders in Nicaragua and as such represents an even greater threat to all citizens. CRNI is wholly satisfied that Pedro Molina is in imminent danger, along with his colleagues in the media across the country. We urge all international bodies to condemn the recent actions of the Nicaraguan government in the strongest terms and where possible intervene on behalf of the populace. 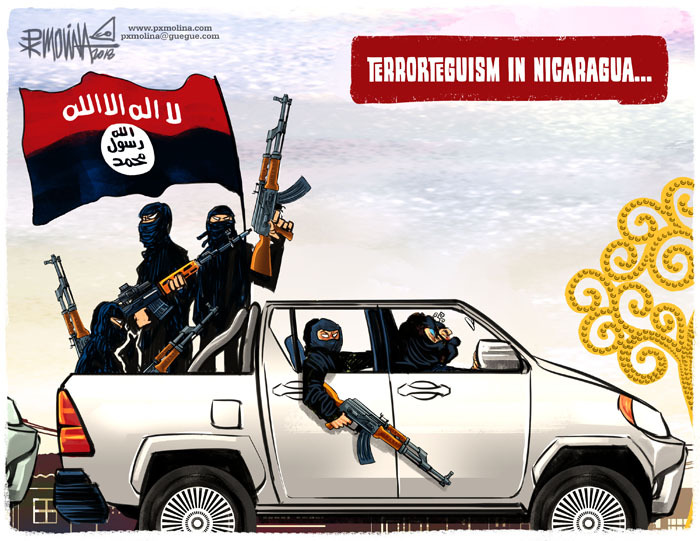 Further reading: Earlier this year Pedro wrote an essay for us summarising the process by which Nicaragua arrived at this crisis and describing the vital function satirical humour plays in the popular resistance. CRNI’s Courage In Editorial Award Winner for 2018 Pedro X Molina receives his prize this weekend at the concluding gala of the Association of American Editorial Cartoonists’ convention. 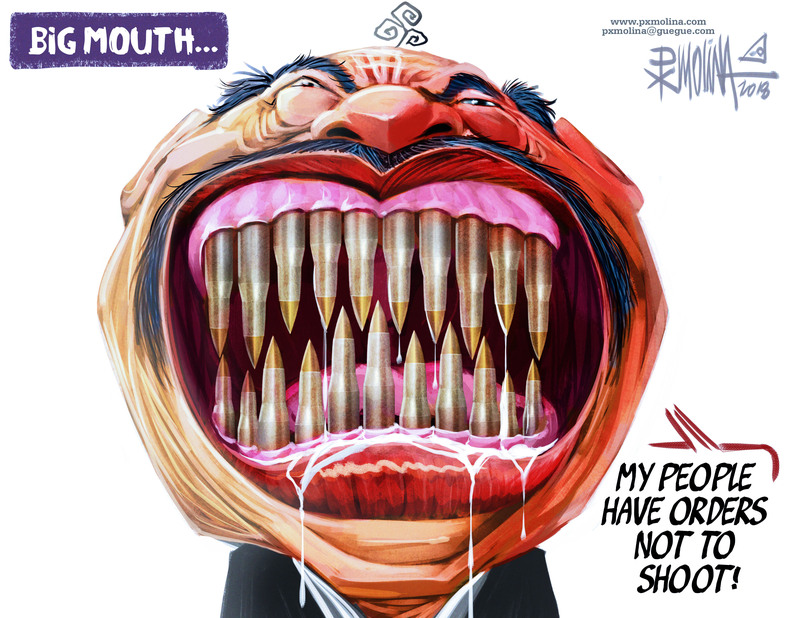 He writes exclusively for our website about the situation facing the citizens of Nicaragua and the context in which his cartoons represent an act of resistance. 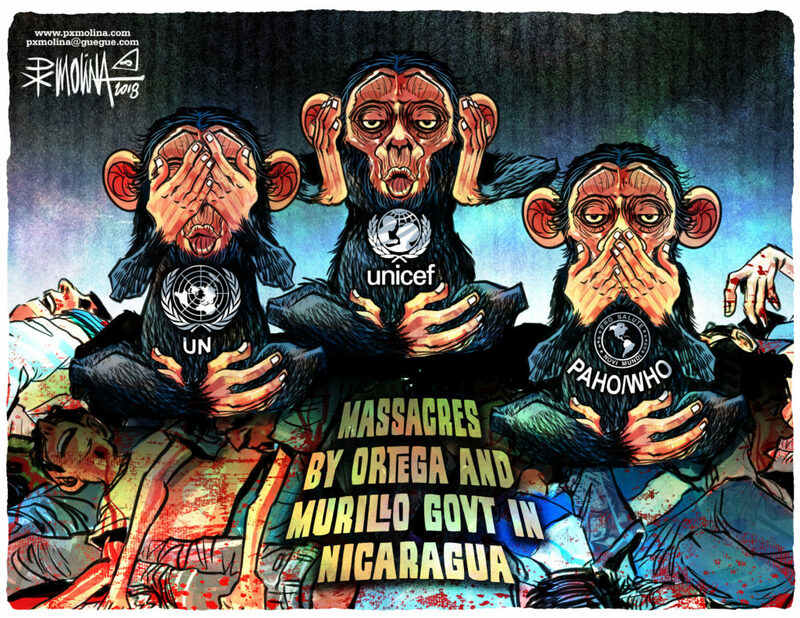 “I’d like to thank Cartoonists Rights Network International and all the people assisting the organization in their incredible work supporting cartoonists in trouble around the world and for presenting me with this year’s award, which I dedicate to the heroic people of Nicaragua resisting the brutal dictatorship of Daniel Ortega and his wife Rosario Murillo. 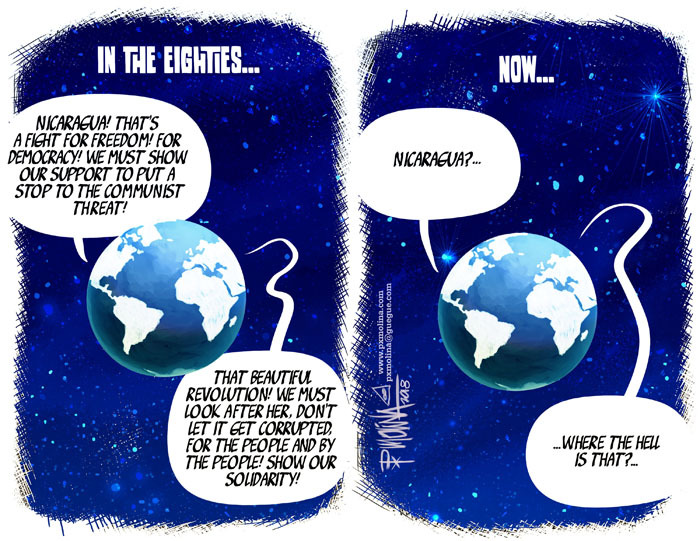 “Cartooning is a trade that has been around for centuries. Right now some people seem to think – wrongly, in my opinion – that it is something that belongs to the past or is in the process of extinction. This is ‘fake news’. The misconception is due to the fact that the vehicle of circulation for cartoons has traditionally been the printed newspaper. When its media model entered a crisis due to the internet, cartooning seemed doomed to go down with it. Because of less printed circulation, less ads, less money for newspapers generally, short-sighted publishers seeking to avoid upsetting readers and trying to cut costs went after cartoonists as a convenient saving. A stupid move when you consider that many readers are loyal to their newspaper especially for the cartoons. “So it’s very ironic that despite the many reasons to be depressed about the profession’s prospects so many of my colleagues feel more optimistic than never before. The reason? In a world where people are constantly bombarded with information yet don’t have much time to keep up cartooning can provide news, analysis and entertainment all in less than a couple of seconds! They can go viral and spark debate very quickly. People can now follow their favorites cartoonists directly. In many respects this should be a new golden age of cartooning! The only missing puzzle piece is how to get paid accordingly. it is an energizing, liberating instrument, putting dictators and brutes in their place, lifting our spirits, giving us hope and companionship and strengthening our determination to continue fighting for a better, free, fair and democratic country. 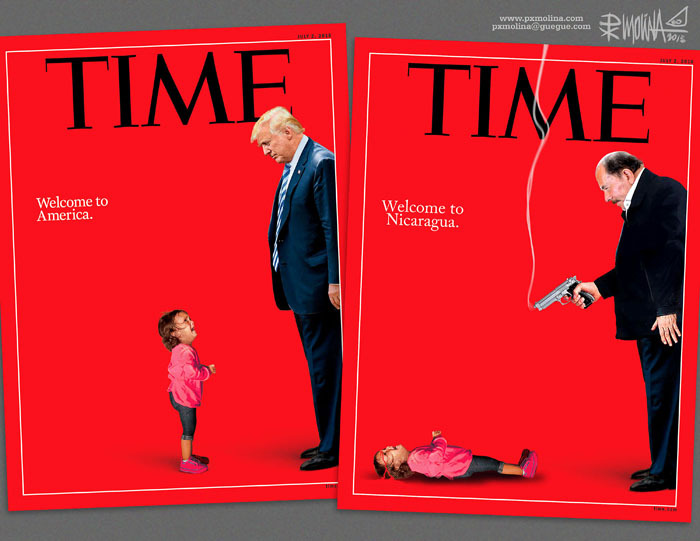 “The output of cartoonists, YouTubers, bloggers and all who use humor to process what we are experiencing has become a daily necessity for the Nicaraguan population. Humor injects us with life in the midst of so much death. Whether in the form of professional cartoons, videos and articles or spontaneous Tweets and memes humor is our engine, a place to put angry energy to use and our spoonful of sugar in a bitter reality. “Every day journalists and commentators get messages threatening us with jail, especially a trip to El Chipote, the most ‘popular’ site of torture of the government. Other times they paint the front of the houses with the word PLOMO, ‘lead’ in English, a word that in our local culture is a death threat. “It is very important to we Nicaraguans that the world knows that we’re not engaged in civil war. There aren’t two armed groups facing each other. This is a massacre enacted by an armed state upon an unarmed people. “Why should North Americans care what is happening to the south? Well, because that’s the decent human thing to do, first and last. But if that’s not enough, consider this: Ortega is a bad seed. Other Central and South American governments have been tempted to lean toward this dictatorial style of government before. And they’re now watching this Ortega guy, located a couple of hours’ flight from Washington DC, not just stealing but killing people at large without any consequences whatsoever. 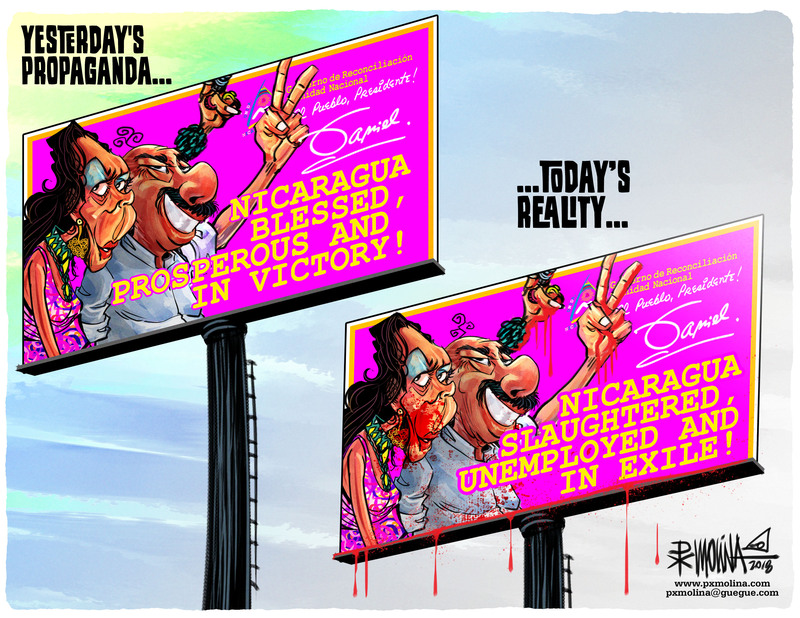 “A few weeks ago Ortega expelled the UN commission from Nicaragua. The same day in Guatemala President Jimmy Morales went on national television in front of a bunch of generals to say he will also kick out the UN CICIG from Guatemala. At the last OAS meeting Guatemala, Honduras and EL Salvador all abstained from condemnation of Ortega’s government. If the US and the rest of the world keep ignoring this situation instead of seeing it as an opportunity to set an example a very serious and widespread crisis could result. And naturally that will result in an even more serious immigration problem, something we’re led to believe the current American administration wants to avoid at all costs. “My colleagues and friends elsewhere can help. I would encourage all US citizens to contact their representatives and make them pay attention to Nicaragua’s problem. The US have already done a few very effective things. They have canceled US visas for many government personnel and have applied the Magnitsky law – a form of economic sanction – to some high profile Ortega supporters. But it’s not enough. I find it particularly disgusting that ordinary Nicaraguans running for their lives can’t get a US visa while government-linked families can get in without any problem. The use of the Magnitsky law should be expanded to more people; not just Ortega’s family but senior figures in the military and police as well as businessmen closest to him. Continued coverage, campaigning and the efforts of NGOs to put more pressure on Ortega’s dictatorship could also be very helpful. 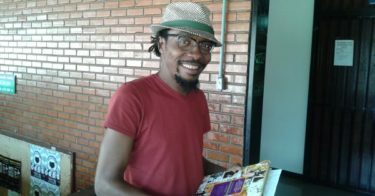 Seven years after we first reported on his troubles, CRNI is delighted to see that the Malysian cartoonist has been fully exonerated of all criminal charges. Malaysian media confirmed news of the acquittal on July 30th. 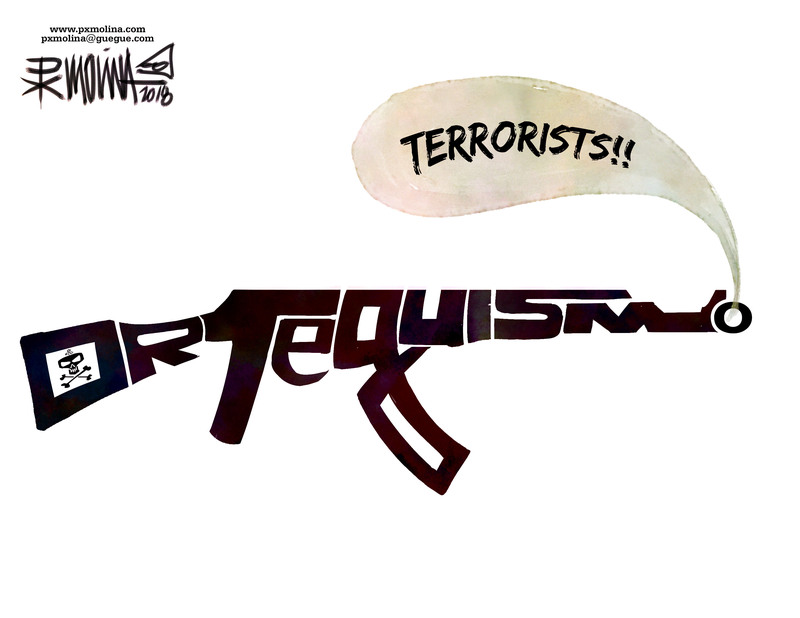 As long-time followers will recall our Courage in Editorial Cartooning Award winner in 2011 had for the last several years laboured under nine counts of sedition. However the recent change in Malaysia’s government had given us all reason to hope that the case would be dismissed. Coming shortly after the end to his travel ban, this means Zunar can now resume his international career free from worry of extradition or imprisonment. The only matters remaining from his previous woes under the Najib Razak regime are his own complaints concerning confiscation of artwork and seizure of books. We hope he is a successful in these court proceedings as his defence has been and that thereafter this long period of strife will fully become a thing of the past. 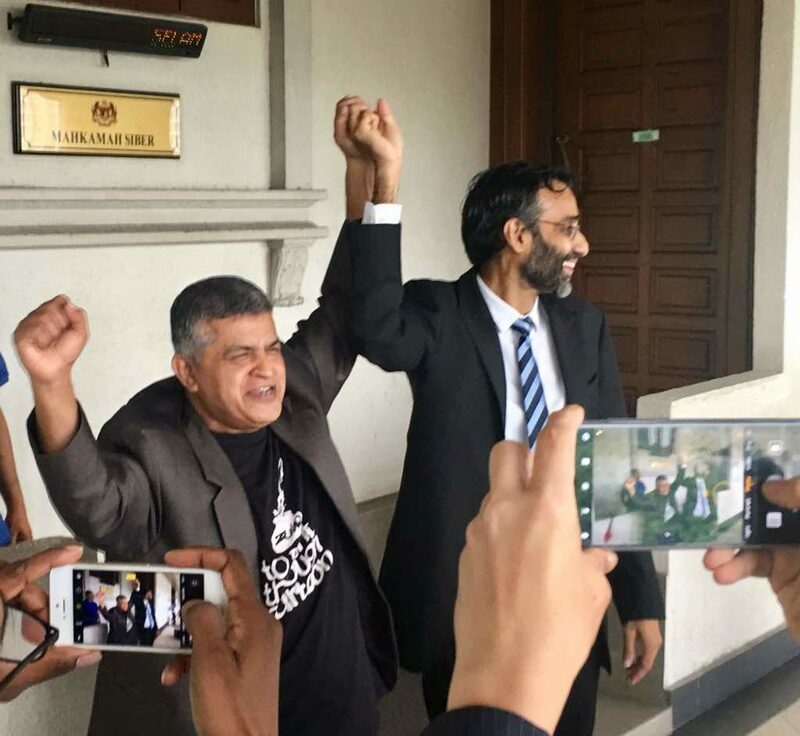 A jubilant Zunar leaves court. Meanwhile we turn our attention to this year’s award recipient, to be announced in September, and those other past winners still facing threat such as Musa Kart, expected back in court to appeal his conviction on charges of abetting terrorism. The sorry tale of his persecution and prosecution by the Turkish government took a bizarre twist earlier this month when the travel agent Kart was accused of contacting as a means to reach religious fundamentalists was made a minister in President Erdoğan’s cabinet. 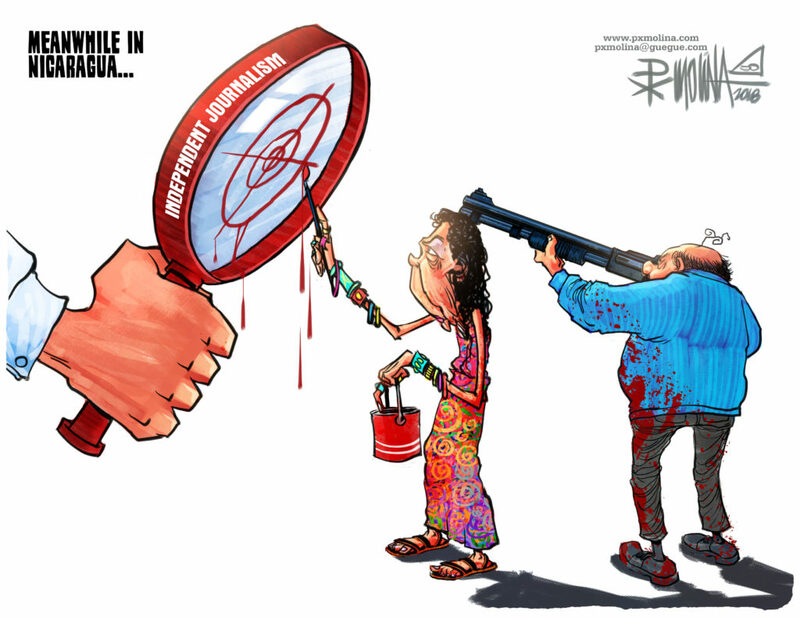 Corruption is everywhere and cartoonists who speak truth to power are easy targets. We’ll continue to work in their defence. Zunar is back on the road again after his travel ban was lifted and passport returned. Hard to believe it was as long as two years ago that we shared Zunar’s last Tweet from Kuala Lumpur airport when he reported the seizure of his documents and the imposition of a travel ban. 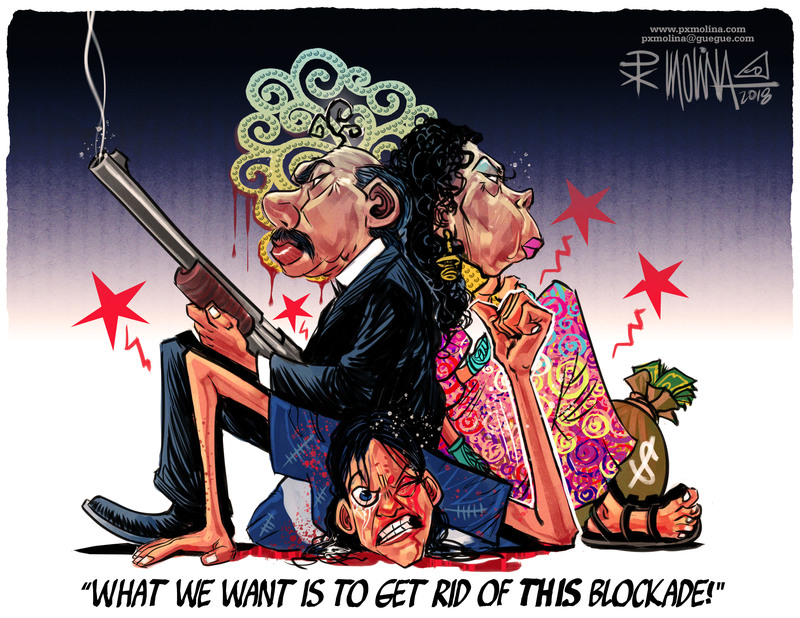 As he heads off to the UK, an excellent article in The Observer details his feelings after the change in Malaysian government and the loss of both his arch tormentors and chief muse in the form of Najib Razak and Rosmah Mansor. In a letter CRNI’s Courage in Editorial Cartooning Award winner for 2017, Ramón Nsé Esono Ebalé extends his thanks to all who supported him during his recently ended imprisonment and provides a harrowing account of life inside Malabo’s notorious Black Beach Prison. Thank you for your support and encouragement during a difficult period in my life. I never felt alone, as I knew you believed in me and defended my innocence, even though you did not know me. I owe you more than even I can imagine. While the past eight and a half months in Equatorial Guinea have been a nightmare for me, your advocacy, your art, and your positive thought all helped me remain hopeful. I’m grateful for your commitment to justice. After all charges were dropped against me, and once I was released from Black Beach prison, I was very happy. I knew I would finally hug my daughter and wife again. I had not seen them for six months, and parts of me were dying as the days went by. My son, who directly experienced the nightmare with me never gave up hope, despite his youthful age. He joined the advocacy for my release and learned first hand that one can never be indifferent to injustice. In prison I met many people unjustly convicted and forgotten by the judicial authorities. Thirty or more inmates filled cells built for two prisoners. I still vividly remember the cries of my prison companions on November 28th as they were being horribly tortured by armed and masked guards. That day the torture lasted for four long hours, from 3:00 to 7:00 p.m., when the guards finally got tired of beating them. I also cannot forget the moans of people who were being tortured in “Guantanamo,” the central jail where I was detained before I was transported to Black Beach prison. In Black Beach three people were left to die when the guards denied them medical attention. Others, companeras and comparers of the Ciudadanos por la Inovación political party, were referred to by the nickname of “broken hands,” given what the intense torture sessions had done to their limbs. I saw them in Black Beach before they were transported in metal cargo containers to the city of Bata. It is a painful and very personal realisation that there is no justice in today’s Equatorial Guinea. I will never forget my prison companions, as I understand that while my life was spared and my freedom secured thanks to the networks that brought you and I together, most people in my country do not have this luxury. I kept myself busy in prison by drawing on cardboard scraps with the only pen they allowed me to have. Now I have access to endless amounts of paper and dozens of pens, pencils, and markers. I plan to use this larger arsenal to shine a light on the injustices and impunity that still besiege my country. What you did for me, we can now do again for many others in my country. So, I am asking you to continue supporting me, EG Justice, and some courageous lawyers in Equatorial Guinea, as we work to free other political prisoners and hold government officials accountable for corruption. I do not have economic means, but now, with you and my pencils, I feel I have both the moral strength and the necessary resources to make a difference. Together, let’s keep alive the hope that many others in Equatorial Guinea will be free and they too can again hug their children and spouses. Nothing would make me happier than turning Black Beach into a museum for human rights to commemorate those who perished and those who continue to suffer gross injustices in that prison. Ramón’s story exemplifies bravery in the face of extreme threats. 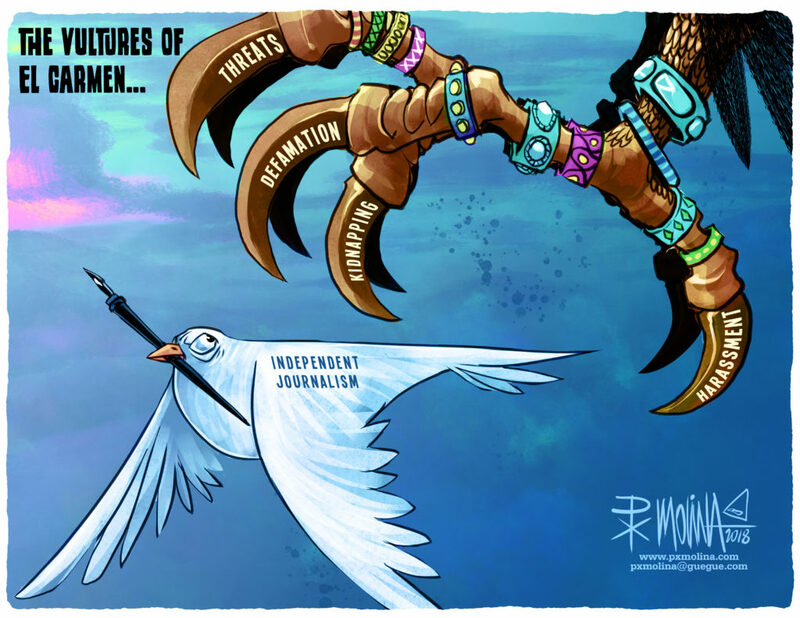 We will recognise another courageous cartoonist later this year. To submit a nomination for the 2018 award click here. Please support EG Justice as they continue to work on behalf of the Black Beach prisoners.